Texas is the second largest state in US in terms of geographic size and population. Texas has a diverse landscape with population centers in Houston, Dallas and San Antonio. Houston is the 4th largest City in the US. Texas has developed a booming, diversified economy, leading in sectors like agriculture, petrochemicals, energy, computers, aerospace and biomedical sciences. Texas has a brash, swaggering , cowboy image. “Don’t mess with Texas” is a slogan much loved in the state. Texas requires that C corporations and LLC not have a name that is the same or could be confused with a business already in existence. To make sure your business name is eligible Inc. Plan can help you choose a unique C corp or LLC name. A distinctive corporate name enhances your company’s reputation and also helps protect the identity of your brand. Almost every business in Texas is subject to a franchise tax based on the company’s taxable income. The state does not charge any personal income taxes. Retail and wholesale businesses can obtain a lower tax rate. Some firms may be exempt from tax if they meet several conditions. Texas does not have any residency requirements. 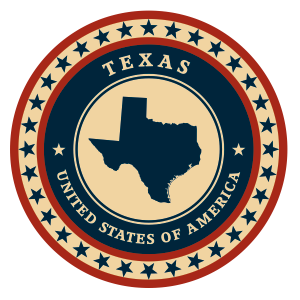 Owners and directors do not need to live in state to legally operate a Texas company. Before your firm is legally eligible to operate make sure you possess all the required business licenses, permits, and tax registrations. Inc. Plan can help you stay in compliance with state law. C corps and LLCs in Texas must have at least one member/owner. Texas law requires the names and addresses of members and owners be included in the initial filing documents. Texas does not have any age restrictions on who may own or manage C corps or LLCs. LLCs must contain the terms “Limited Liability Company,” “Limited Company” or the abbreviations “Ltd.,” “Co.,” “LC”, “LLC” and “L.L.C..” Businesses that wish to include words associated with educational activities in the name of their entity need special approval from the Texas Higher Education Coordinating Board. Terms like “Bank,” “Insurance,” “Veterans” or any variations of those words needs special approval from the state. Use of the word “Lottery” is prohibited. Entrepreneurs looking to start an LLC in Texas must file a Certificate of Formation with the state. Texas LLCs must pay a Franchise Tax and file Public Information Report with the Comptroller of Public Accounts. The franchise report is due between January 1st and May 15th. The Articles of Organization must contain the name and address of a registered agent who resides in Texas and who is available to manage legal and tax business documentation. For more help with the incorporation filing or registered agent services, feel free to contact Inc. Plan (USA). Domestic and foreign LLCs are subjected to a franchise tax which represents 1% of the company’s net revenues attributable to Texas. LLC income below $1,000,000 annually is not taxed. Retail and wholesale businesses qualify for a lower tax rate. Texas allows organization names that include the terms “Company,” “Corporation,” “Incorporated” and “Limited,” along with their abbreviations. Businesses that wish to include words associated with educational activities in the name of their entity need special approval from the Texas Higher Education Coordinating Board. Terms like “Bank,” “Insurance,” “Veterans” or any variations of those terms need to obtain special approval from the state. Use of the word “Lottery” is prohibited. Entrepreneurs looking to start a business in Texas must file a Certificate of Formation with the state. Businesses are required to file an annual report and a franchise tax report. Both of those documents must be submitted no later than May 15th. The Articles of Incorporation are required to list the company’s authorized shares along with their assigned par value. Entrepreneurs must also include the name of a registered agent with a physical address in Texas. Inc. Plan (USA) can help you with the initial filing process and with finding qualified registered agent service. Any increase in the number of shares beyond the standard may affect the initial filing fees. Inc. Plan (USA) can help you with the necessary filings and also with qualified registered agent service. Domestic and foreign C Corporations are subjected to a franchise tax which represents 1% of the company’s net revenues attributable to Texas. Corporate income below $1,000,000 annually is not taxed.